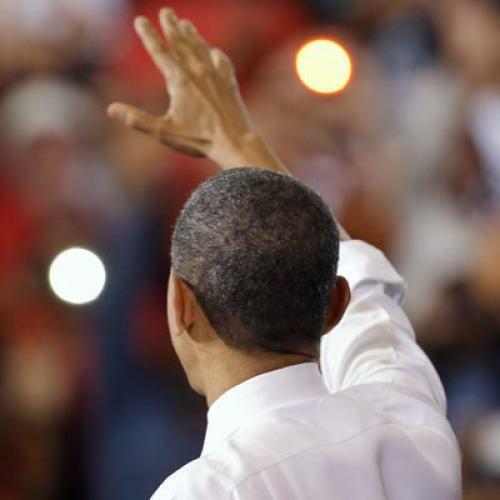 Barack Obama has mostly been well served by his cautious, prudent approach as president, and smart politics would seem to dictate more of the same for a second term. But Obama’s decision to terminate Osama bin Laden against the advice of most of his counselors showed another side of him, a gambling instinct that he should embrace if re-elected. If he gets the chance at a second term, Obama should advance a bold plan to reform middle-class entitlements and reduce the deficit—and become the transformative leader he has always dreamed of being. Entitlement reform and deficit reduction also offer Obama his best—and only—hope of restoring the Republican Party as a responsible partner in government. The GOP has tried to claim the mantle of fiscal conservatism, but the party’s theological devotion to tax reduction under all circumstances, and the refusal of every Republican presidential candidate to accept a ten-for-one ratio of spending cuts to tax increases, reveals the hollowness of this pretension. By throwing his influence behind a serious fiscal reform proposal along the lines of the Simpson-Bowles Commission’s recommendations, Obama could present Republicans with the politically unsustainable contradiction between their rhetoric and actions. Only a minority of Congressional Republicans are Tea Party zealots. House Speaker John Boehner’s initial willingness to support the “grand bargain” sketched by Obama last summer suggests that, if presented with the right opportunity, Republicans might break the bonds of their Southern captivity and return to their roots as a Midwestern-dominated, reality-based conservative party. But in response, Obama could follow the example of Democratic President Harry Truman, who forced the Republican Party to abandon isolationism by building a public consensus around Cold War internationalism. He did so by taking the advice of Republican Senator Arthur Vandenberg to “make a personal appearance before Congress and scare the hell out of the American people.” Obama could do the same by educating Congress and the public about accrual accounting. The Government Accountability Office declares that if the U.S. government was forced to take account of the present costs of future promises, as U.S. corporations are required to do, the current budget deficit would not be $1.3 trillion but $4.2 trillion, and the cost of Social Security and Medicare would total $33.8 trillion. That’s pretty scary. A Republican refusal to compromise in the face of such an existential threat would seem less like partisan politics as usual and more like treason, stimulating a revival of bipartisanship and sober thinking. The need to take action against the deficit while also maintaining a social safety net and funding national investment in education and infrastructure would give Obama the compelling narrative he has so far lacked, and allow him to explain how present shared sacrifice would lead to long-term prosperity. Second-term presidents worry about their legacies. If Obama chooses not to take up the gauntlet of deficit reduction and the U.S. economy manages to limp along for the next decade, history may judge that he did as well as he could in the face of intransigent opposition. But if Obama fails to take action and a financial crackup takes place, history’s verdict will be harsh. That’s not a risk he should take.